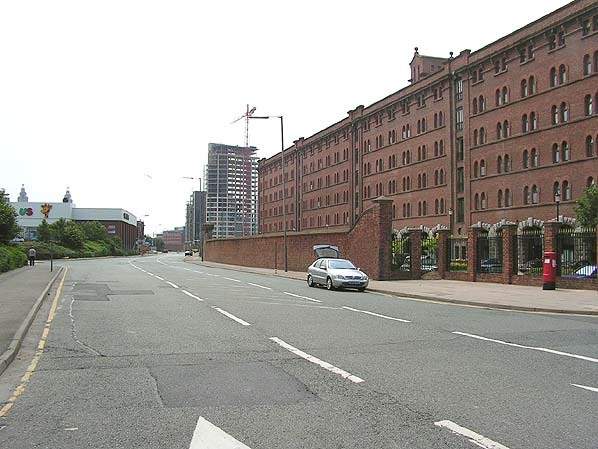 Location: West side of Waterloo Road opposite the junction with Roberts Street. Notes: Princess Dock was one of the original Liverpool Overhead Railway (LOR) stations that opened with the line in 1893. 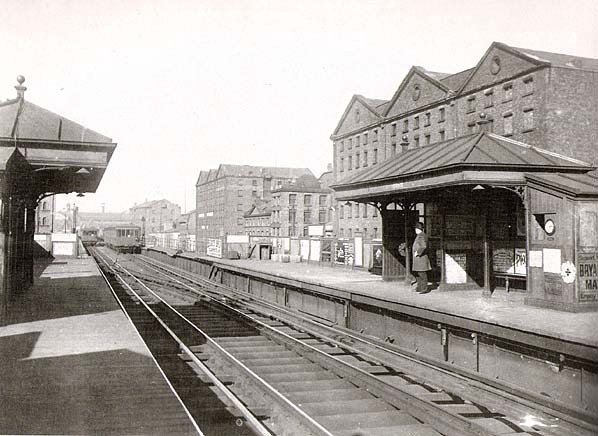 It was a typical LOR station being located on the elevated line 16 feet above street level on the iron structure that carried the line above Liverpool's busy Dock Road, and directly above the Dock Boards railway which ran throughout the length of the dock system linking the various goods facilities. Upon opening it was served by trains between Herculaneum Dock and Alexandra Dock stations. Between 1894 and 1905 extensions where made to Dingle in the south and in two stages to Seaforth & Litherland on the L&Y Liverpool. To Southport line. Princes Dock Station was extensively damaged during enemy action in 1941 and never re-opened. Princes Dock Station was demolished with the rest of the Overhead Railway towards the end of 1957. Princes Dock Station in about 1900. Note the live rail in the centre of the track, this was altered in 1906 to the outside so that it was compatible with the LYR with whom a connection was made at that time.